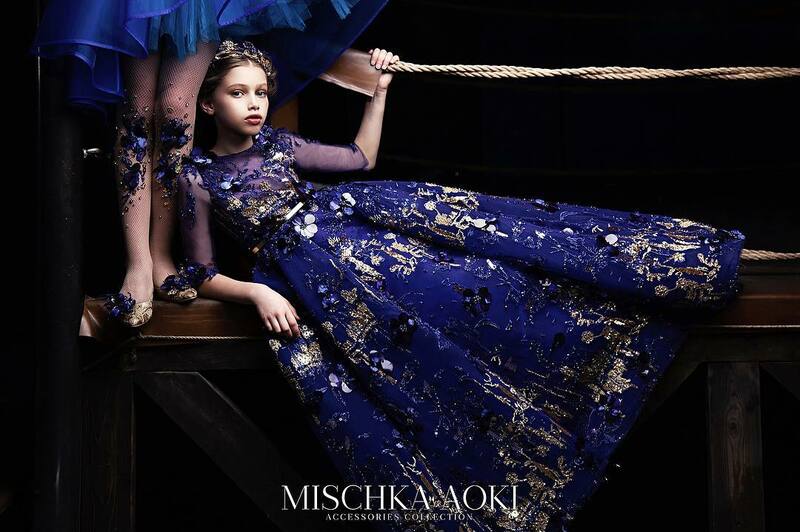 Spoiled Me is a Danish based children label founded by Anna Christiansen. Spoiled Me is dedicated to all girls who like to be and feel like a princess despite the age. 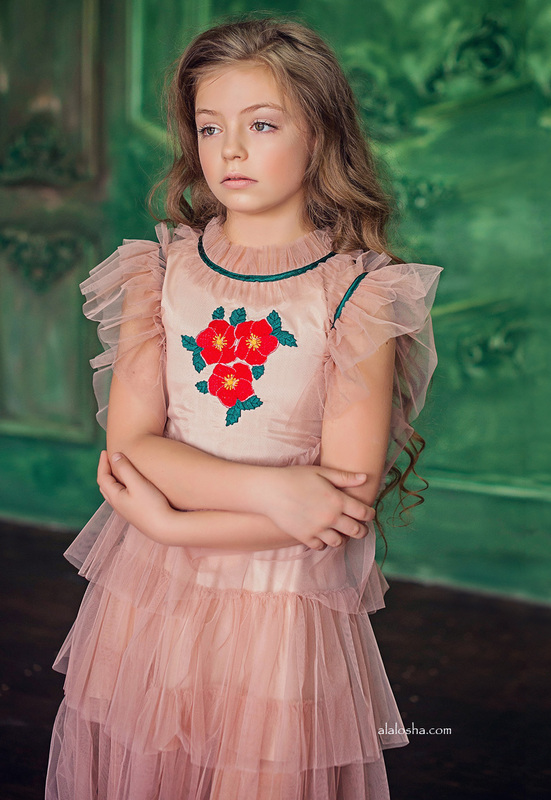 Girls hand made dusky pink dress by Spoiled Me, with red roses embroidered in silk on the bodice. Lined in pink silky satin, the bodice has a pink tulle overlay and is edged with ruffles, matching those on the shoulders. 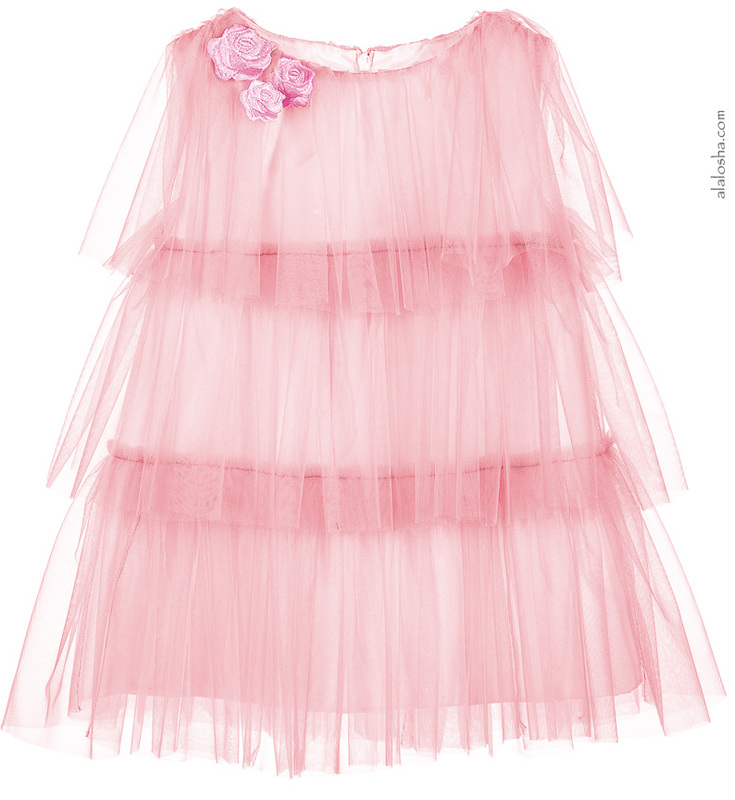 The skirt has more layers of delicate tulle that fall lower than the lining and so are see-through. The dress fastens with a concealed zip at the back. 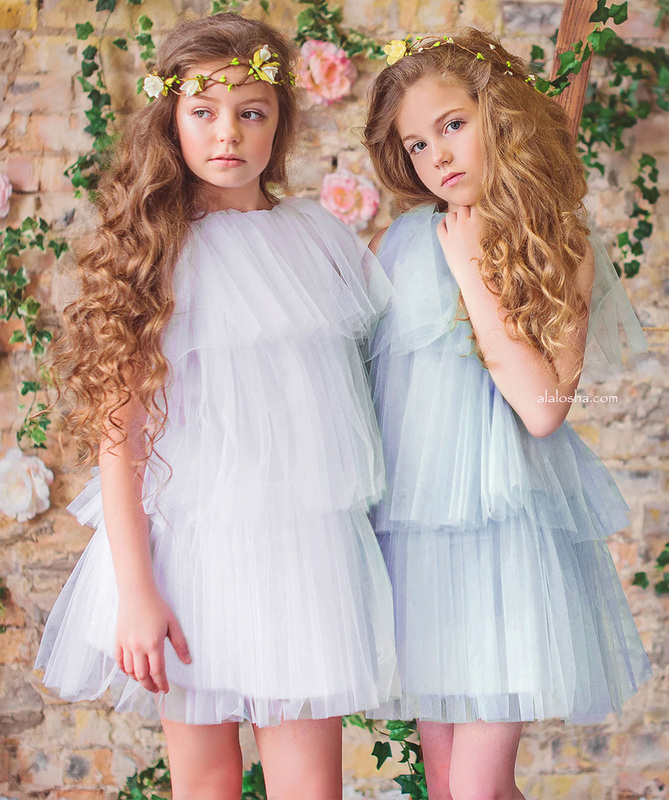 Girls angelic pale pink dress by Spoiled Me, overlaid with hand made tiers of soft tulle. Lined in silky satin, the bodice has embroidered silk rose appliqués on one shoulder, with pretty pearl centres. The dress fastens with a concealed zip at the back. 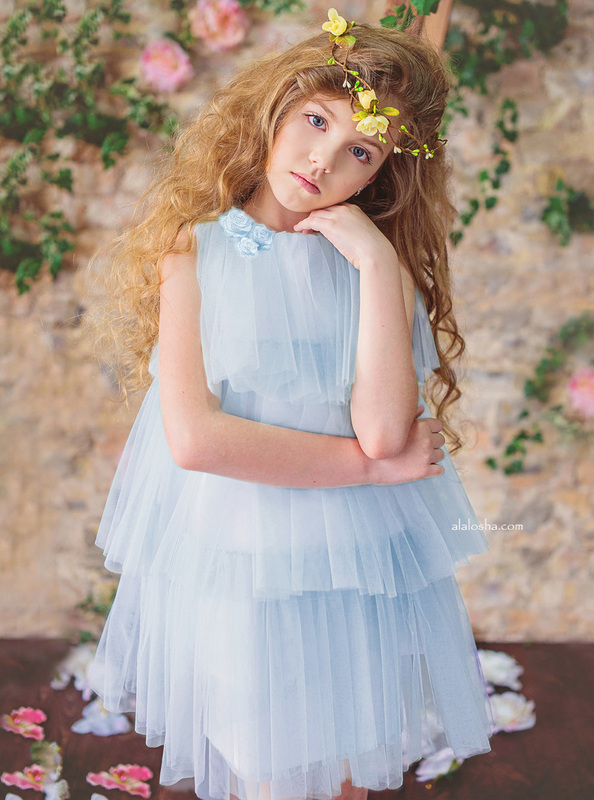 Girls angelic pale blue dress by Spoiled Me, overlaid with hand made tiers of soft tulle. Lined in silky satin, the bodice has embroidered silk rose appliqués on one shoulder, with pretty pearl centres. The dress fastens with a concealed zip at the back. 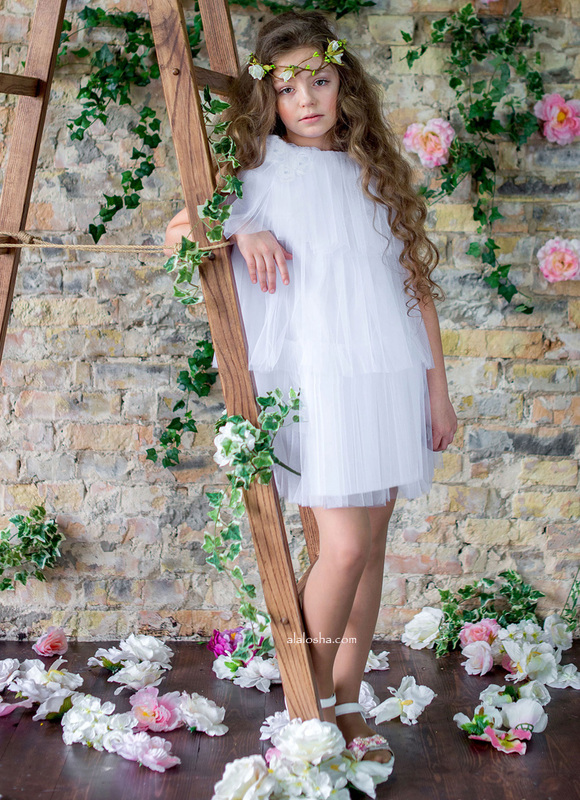 Girls angelic white dress by Spoiled Me, overlaid with hand made tiers of soft tulle. Lined in silky satin, the bodice has embroidered silk rose appliqués on one shoulder, with pretty pearl centres. The dress fastens with a concealed zip at the back. 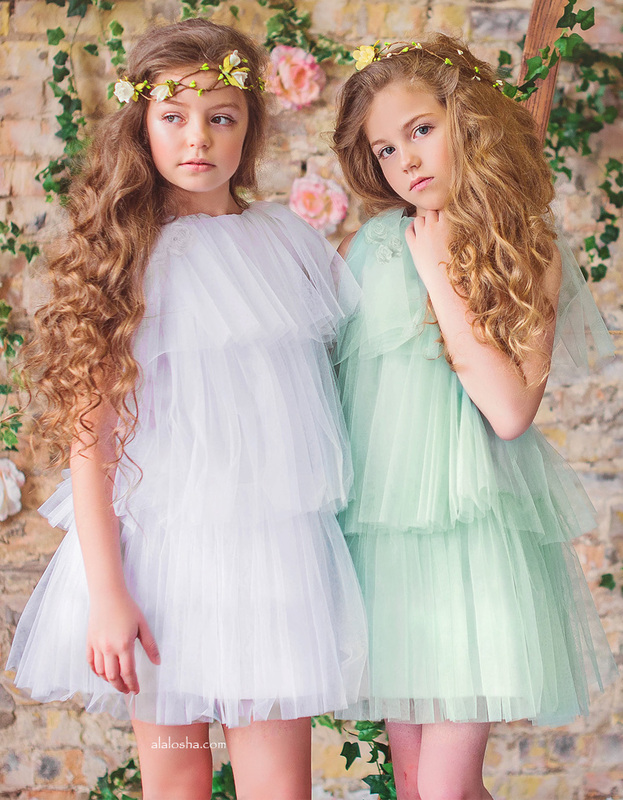 Spoiled Me want to spoil your little princess with a little bit extra than just a regular dress and then to bring joy and happiness to your little darlings while wearing Spoiled Me dresses and feeling special, and to their parents by being a part of this small but significal moment. All garments are hand-made, special designed with thought of comfort and easy care. 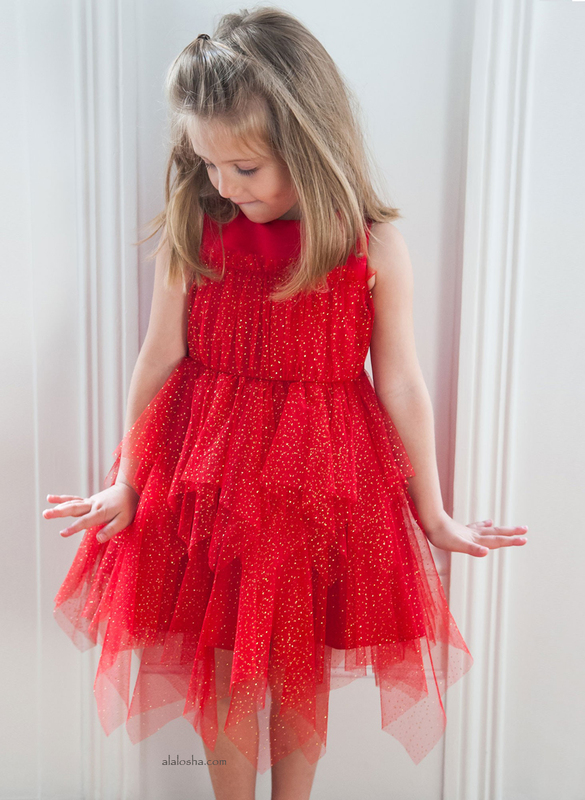 Each dress is filled with unique details and will make a spectacular entrance for your little fashionista.